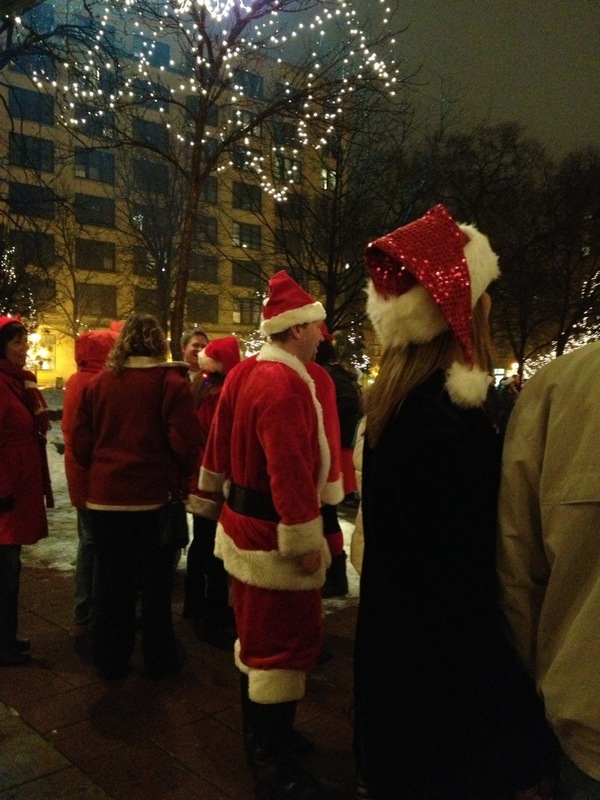 We participated in the 2012 Lowertown SantaCon bar crawl. 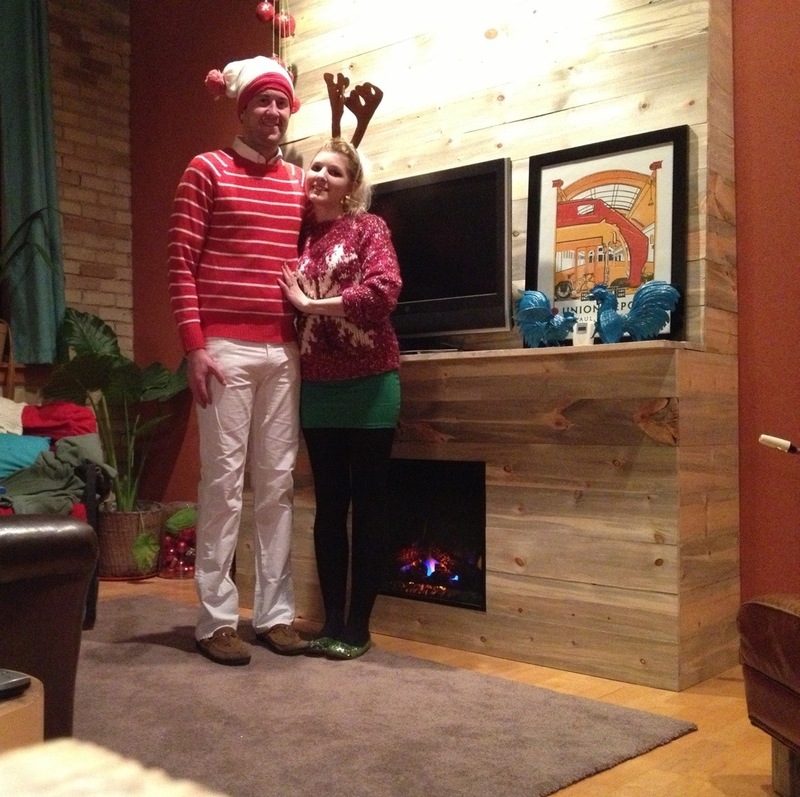 Most people thought Ryan was Santa Waldo. At Gopher bar. 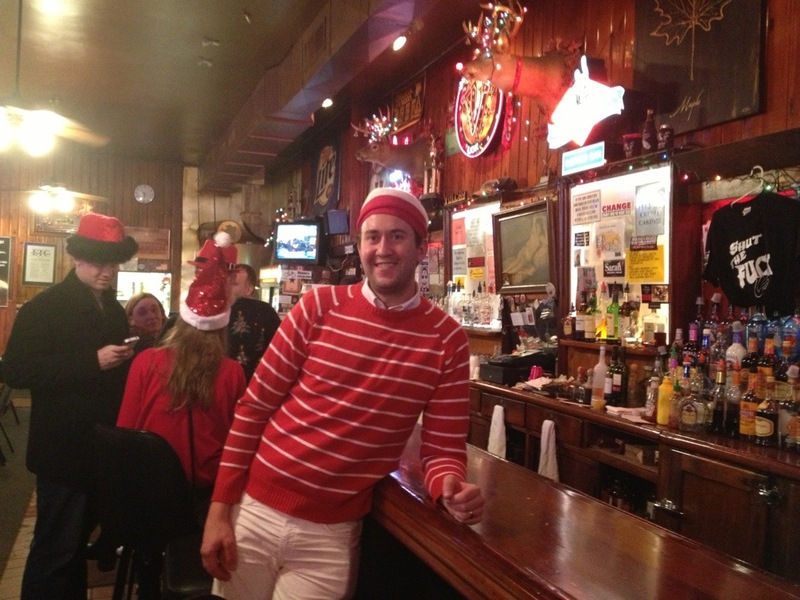 There was only one bar tender. There was a fire show mid-crawl. 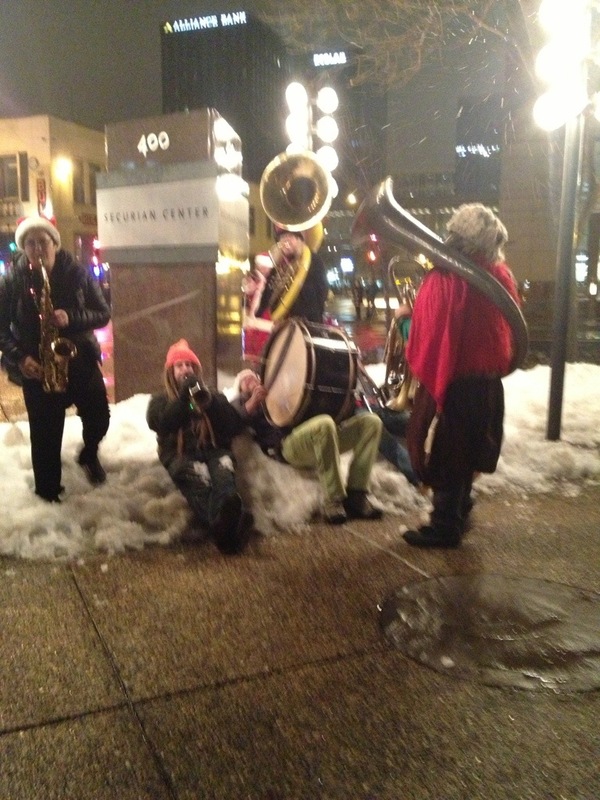 Band break in the snow.